Brastilo, the on-line retailer of contemporary Brazilian furniture is pleased to announce their collaboration with Pieter Maes. “We are excited about our recent collaboration with Pieter Maes,” stated Isaque Kirschner, Brastilo’s Managing Director. 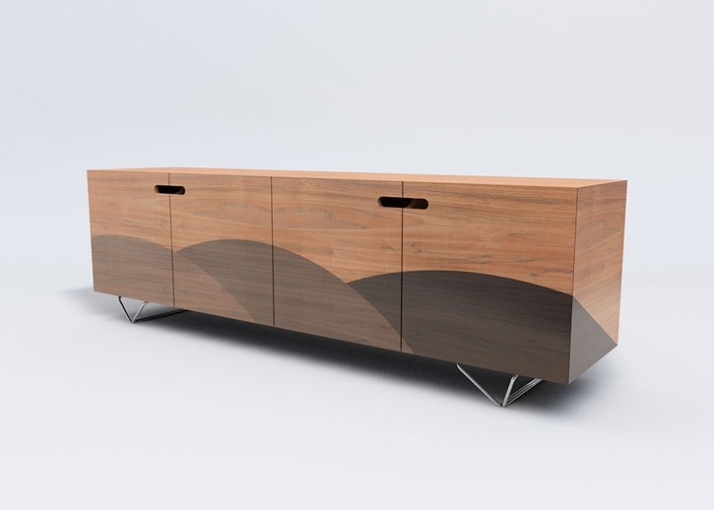 “Being and up-and-coming talent, Pieter brings some new and dynamic perspectives to his furniture designs.” Brastilo will be introducing several of Pieter’s designs at the International Contemporary Furniture Fair (ICFF) this May in New York City. Look for a fresh look in chairs and consoles that are contemporary but, are inspired by the natural aspects of the Brazilian country-side. “We have pushed the envelope in the way wood is graphically and sculpturally used. This is an aggressive, edgy and elegant look for us,” said Isaque Kirschner. About Brastilo Living; Brastilo’s unique collection of residential contemporary furniture and accessories features limited edition, eco-friendly furniture from world class designers with a Brazilian flair. Each piece is handcrafted in Brazil from wood that comes from our own eco-friendly sustainable forests. Visit Brastilo in booth 515 at the International Contemporary Furniture Fair May 17-20, NYC, Jacob K. Javits Convention Center or visit www.Brastilio.com for more information. Minas Gerais is a state in Brazil that is very mountainous and beautiful. The inspiration for this cabinet comes from these mountains and how light plays among the ridges. “Serra” is the word for mountains in Portuguese. Thus, from the inspiration comes the name of the cabinet. Marquetry gives this product a luxurious design with a human touch. Place this beautiful piece in the living or dining room. You can store fancy tableware, plates, bowls, cutlery or your favorite electronics. This versatile piece can take care of most your of your needs. Brazilian design is all about using solid woods in interesting ways. So then, how can you make solid wood furniture that can function as a side table, storage unit or shelving? The answer is the modular Trapezoid or “Trapézio” in Portuguese. Each unit can function on its own as a side table next to the sofa with a cup of coffee on top. Or gang them together and display books along with other valuable items. Because they are skewed, these modular units are visually interesting. The asymmetrical shape plays and changes expressions while you are walking by. The human eye is always in search of vertical or horizontal lines as reference points. As there are no vertical lines to reference, this shape is only comprehended when walking around it. Let your design imagination run wild. Put them up on their ends or lay them flat with a piece of glass on top. These 3-dimensional pieces can be used in so many different ways. The Trapézio Modulars are finished in veneer of certified Breu-vermelho wood and come in two sizes. Brazil is one of the largest exporters of precious gems in the world. 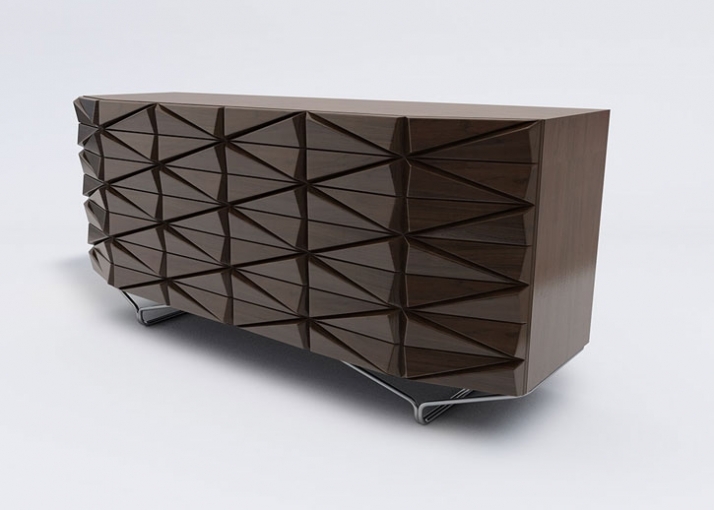 The inspiration for this cabinet comes from the Brazilian Buergetite crystal. Buergetite is a rare iron and sodium rich tourmaline with fluorine. These blocky triangular prisms are usually dark in color with a triangular expression and comes from the city of Valadares, in the state of Minas Gerias, Brazil. “Cristal” is the Portuguese word for crystal. The Cristal Cabinet is both aggressive and elegant at the same time. Place in the dinning room or finished basement. Store glassware, liquor, wine, bar items or all items necessary for a party. 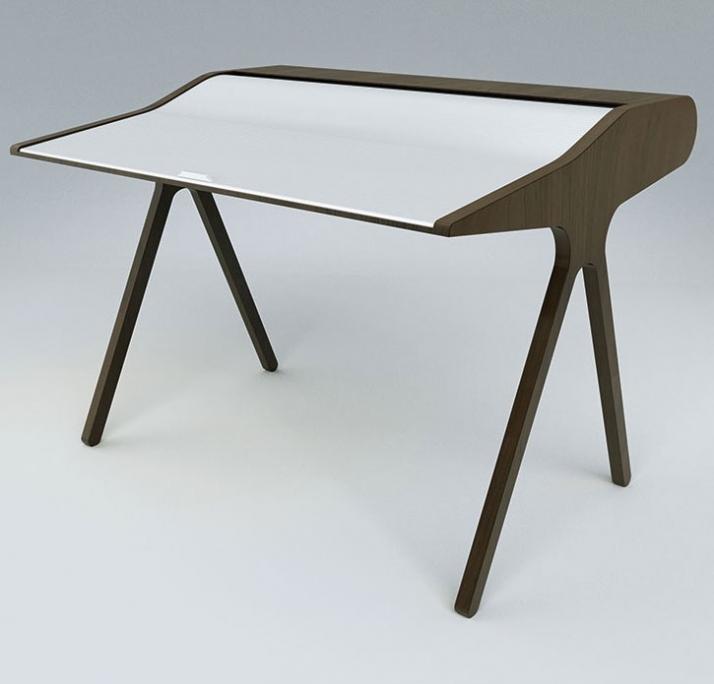 Imagine a desk that has references to the past but, supports modern technology. This piece of furniture goes back to a time when people put pen to paper - when an individual at the end of the day wanted to roll the top close for privacy. 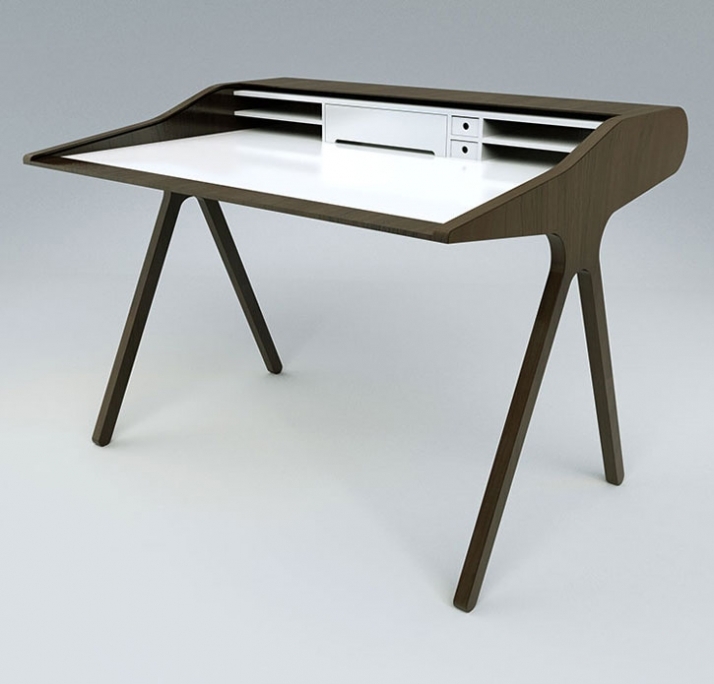 This back-to-the-future desk is designed with your laptop and other technologies in mind. We are living in a time when more people are bringing work home. The laptop computer has been a blessing but, it is also the reason why your work has now extended beyond the office and has intruded upon your living room. Thus, the name Laptop Mesa - where “mesa” translates into table or desk in Portuguese. 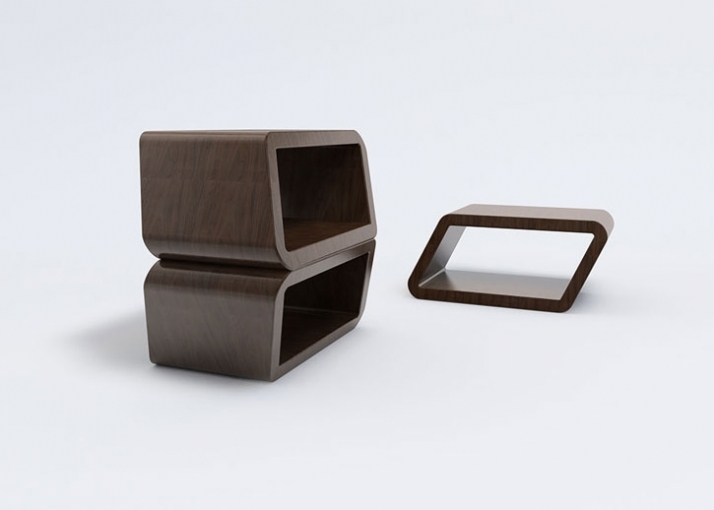 With this piece of furniture, you can now get things done and when it is time - just close the desk top. This multi-functional piece allows you to use it as a writing desk, laptop station, or organizing dock for many of your other technologies. One wire provides the electricity to a docking station where cameras, mobile phones, PDAs or other devices can be plugged-in and managed. The Laptop Mesa is so elegantly crafted that it is nice enough to place in your bedroom, basement or living room. Any place you need to get work done. 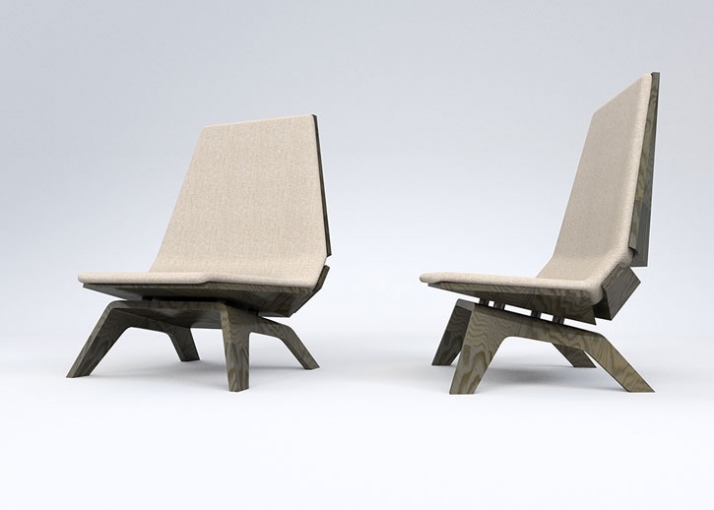 The triangular shape, thus the name Triângulo Chair is made of solid wood and bent plywood. The solid wood is used as the base material to make the shell of the chair while the bent plywood used in the legs, delivers strength and lightness. The cushion is what makes this chair so comfortable. Working with local craftsmen, the cushion is made of leather and that Brazilian touch.